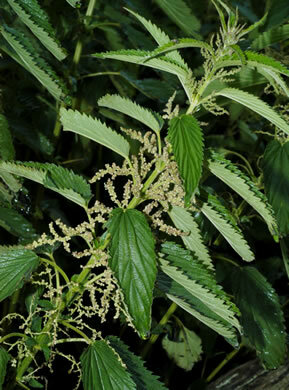 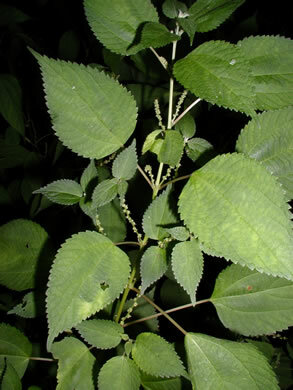 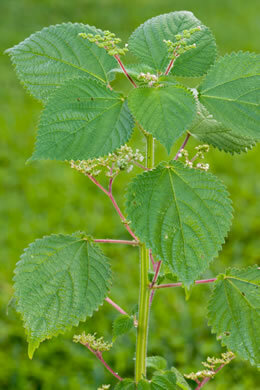 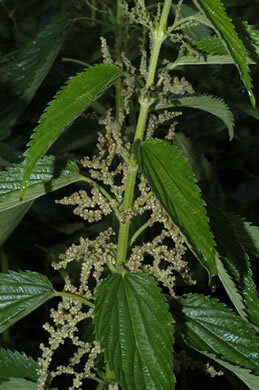 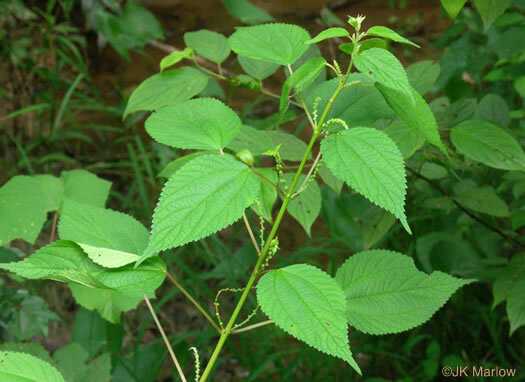 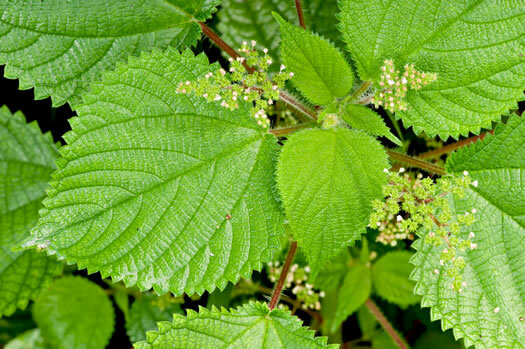 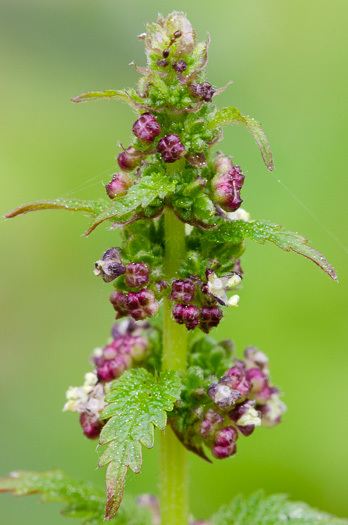 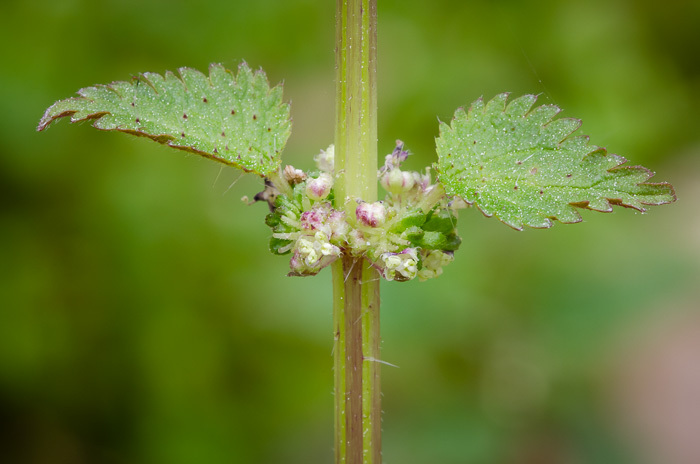 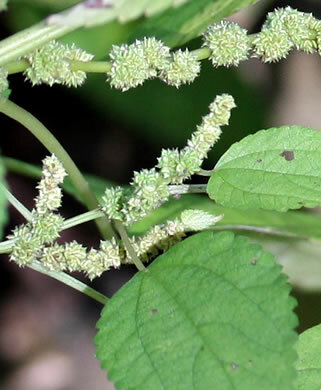 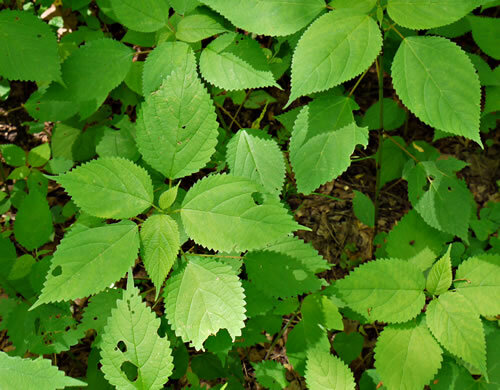 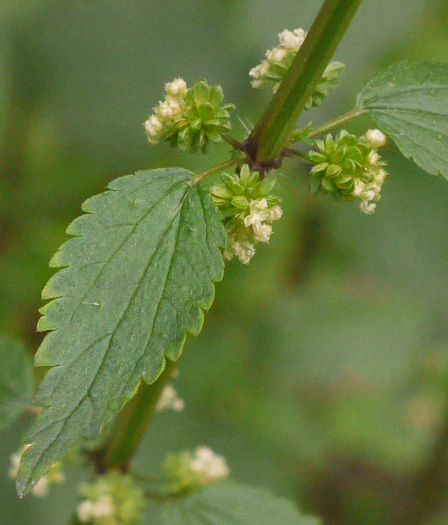 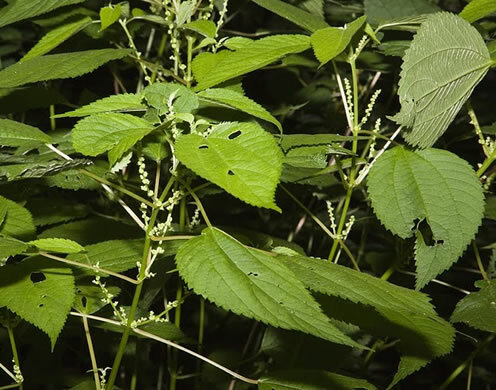 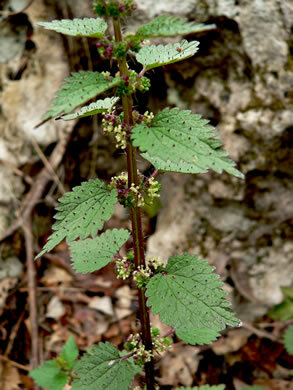 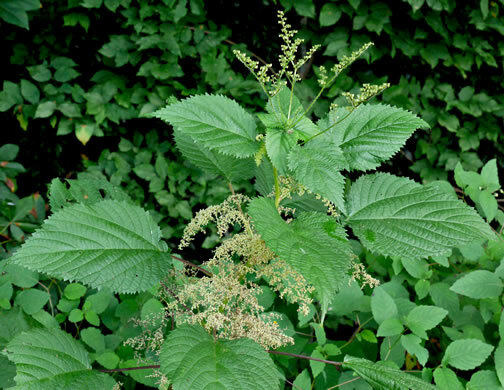 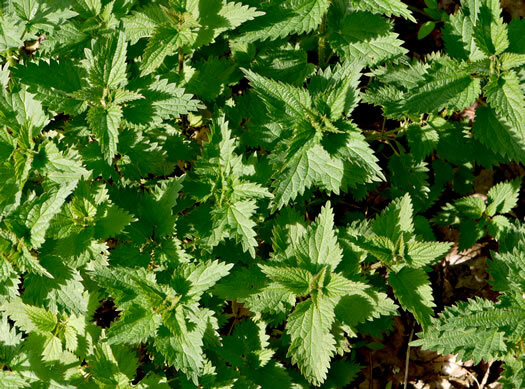 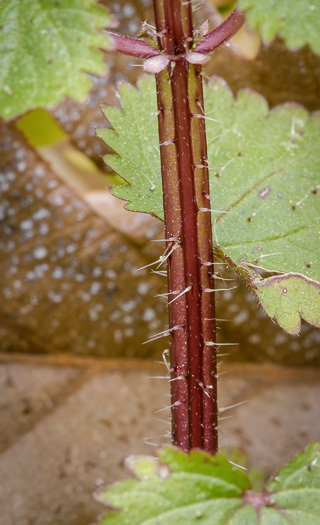 Your search found 19 image(s) of False Nettle, Wood Nettle and Stinging Nettle. 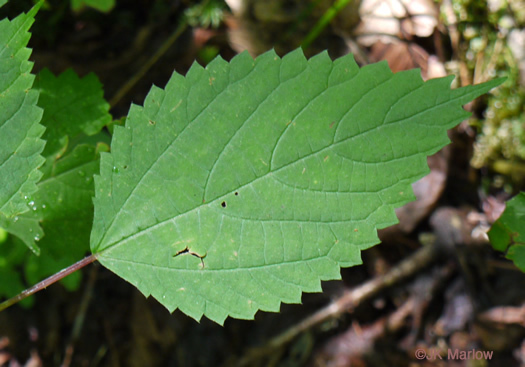 Leaf blades usually widest below middle or near base; margins serrate, per Flora of North America. 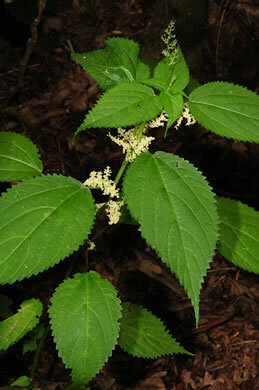 Tiny flowers in small headlike clusters arranged along spikes in leaf axils, per Guide to the Wildflowers of SC. 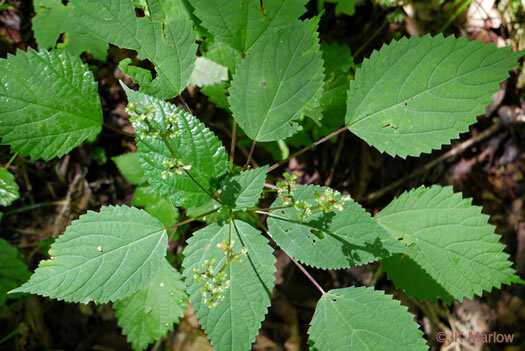 Similar to Laportea but it lacks stinging hairs and has opposite leaves, per Wildflowers & Plant Communities of the Southern Appalachian Mountains and Piedmont.